The Well Condo is an exciting residential option, housed in a high-rise mixed-use complex in the popular King Street area. 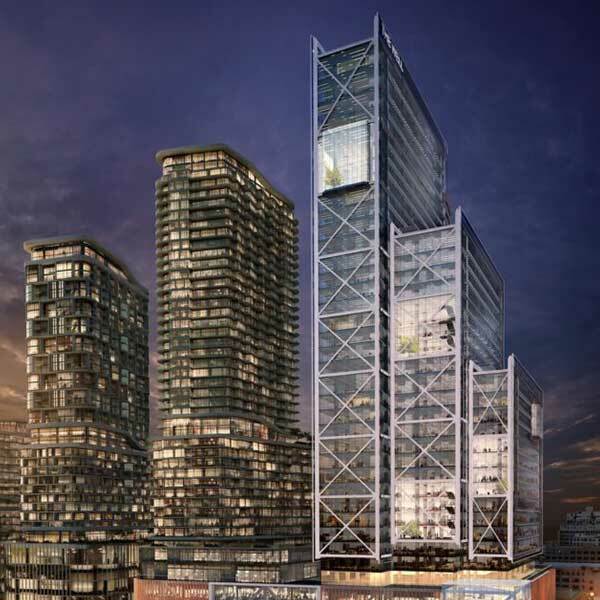 The multiple towers from top developers, RioCan REIT, Allied Properties REIT and Diamond Corp., are slated to enhance the region with a new addition to the growing need for a luxury urban lifestyle. An address of note is The Well, strategically located east of Spadina and south of Wellington in the lively and quaint King West area. The neighborhood is packed with fun and excitement stemming from the multiple entertainment and recreational options. A cornucopia of great galleries, boutiques, eateries, clubs, business services and green spaces enrich the region’s already exciting residential life. An innovative multi-use solution to the demand for more housing comes in a pretty package of glass and steel. From The Well, you can walk or take mass transit to anywhere in Toronto to enjoy the plethora of attractions. With its close proximity to a hip and trendy neighborhood in the King Street area, The Well is drawing attention from every corner for its state-of-the-art design and plethora of luxury features. 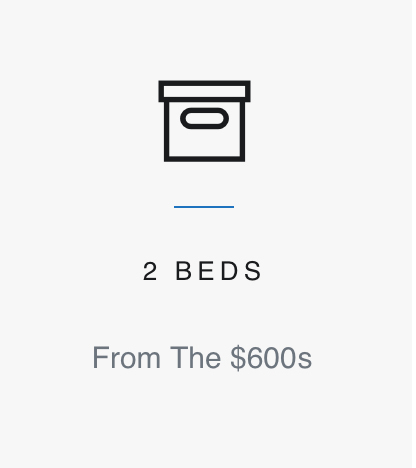 Urbanites expect the latest and greatest amenities. 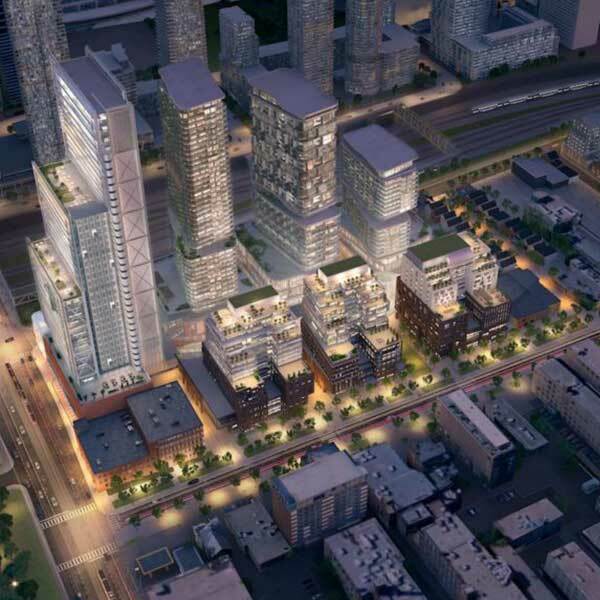 Near Wellington and Spadina, the mixed-use residential and commercial complex is truly in the heart of the action. 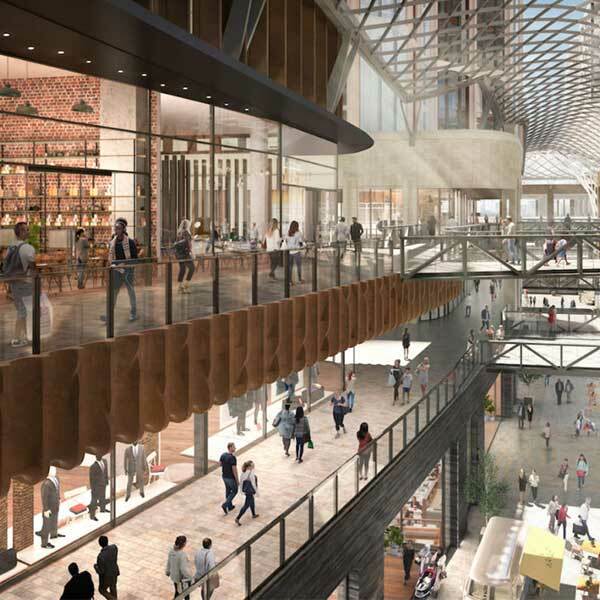 While occupants will enjoy all the area shops, restaurants, parks, and entertainment and recreation venues, the multi-tower condo building will also enrich the region with what it also has to offer. It is the perfect home for young urban professionals who want to live close to work, and for families who enjoy the benefits of city life. It is a simple matter to choose one or two bedrooms. 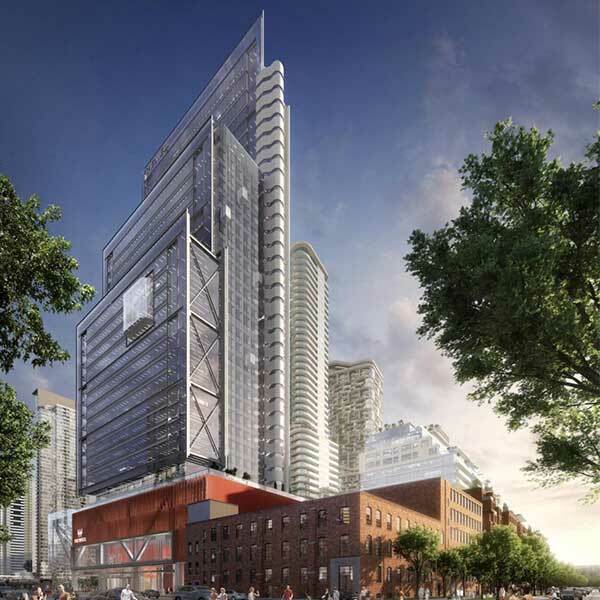 The downtown core is growing by leaps and bounds to accommodate demand. A major revitalization and transformation process is underfoot. King West is ideal given its proximity to mass transit. Once the home of the Globe and Mail offices, the new skyscrapers are eye-catching landmarks filled with the requirements of occupants. Inside the sky-reaching facades are communal lounges and public spaces, not to mention a fitness centre and spa, restaurants and bars, pool, terraces and green spaces, a full-time concierge, and more. The suites at The Well offer various plans and footage to meet every lifestyle choice. Of course, there are chef’s kitchens, spa-like bathrooms, high ceilings, superior finishes, and huge picture windows. 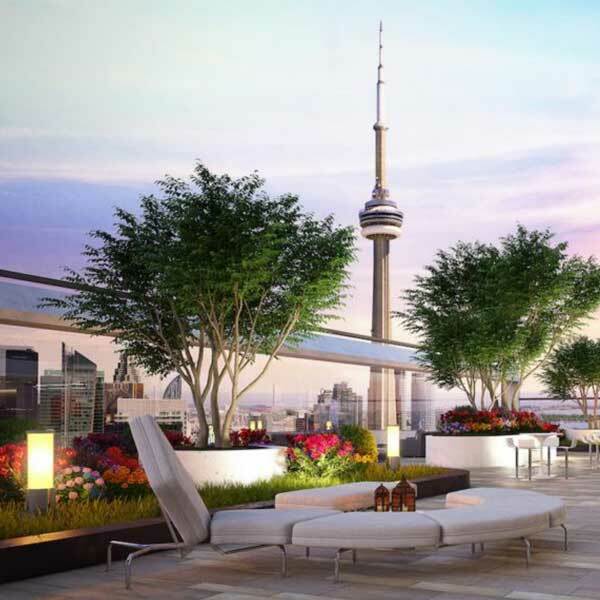 Views in Toronto are a must in any new condominium project. An ingenious inclusion of a mid-block pedestrian lane adds to the focus on ease and convenience. It is a short hop, skip, and jump (preferably done by your dog) to the nearest grocery store or bank. Commissioned art is the final fillip on a stunning concept. All around The Well Condos, and within, contemporary design and technological innovation abound. Who doesn’t want to live in the King Street area, known as the alter ego of SoHo in Manhattan? It is the prime location for young professional and growing families to set down roots. 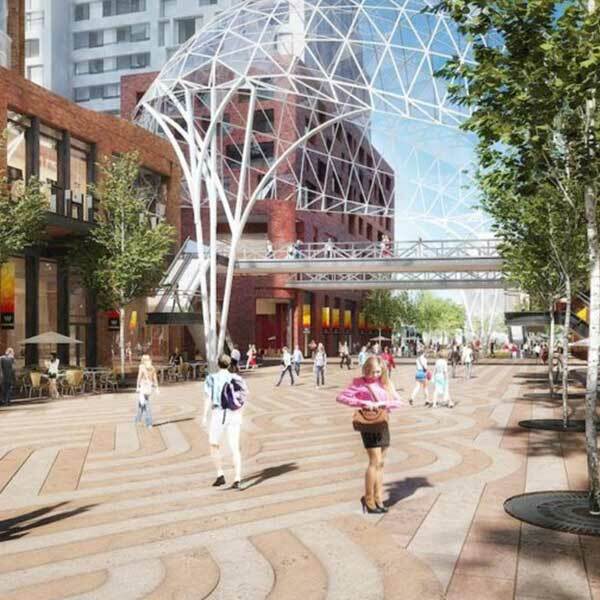 The towers of The Well Condos are part of a vast mixed-use complex, perfectly situated close to shops, services, parks, clubs, galleries, entertainment venues, and a plethora of recreational facilities. In any location description, proximity to mass transit is required. There are subway stations, bus stops, and expressways within easy reach. Getting around in Toronto is never a problem, surely not in this downtown region. While it is an enclave unto itself and a veritable tower village, residents can avail themselves of amenities nearby. The street culture beckons adventurous, artistic souls on their way to the Entertainment District. Also walking distance are CBC headquarters, Rogers Centre, Ripley’s Aquarium, the Metro Toronto Convention Centre and a number of attractions and points of interest. A tried-and-true trio of expert developers has their hand in the exciting complex known as The Well, on everyone’s short list of groundbreaking new projects. The mixed use master plan community promises to be a major jewel in a growing region laden with high rises. RioCan REIT, Allied Properties REIT and Diamond Corp. are the names to remember in association with the multi-tower condo masterpiece. The group, along with architects at Hairiri Pontarini, have envisioned and brought to fruition a concept that stands tall for its post-modern design and technological innovation. The adjacent placement of retail and residential space is daring and progressive.